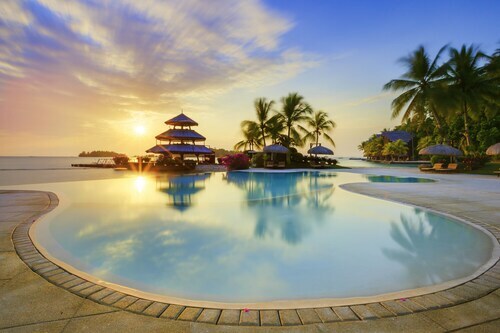 It has never been easier to save cash with Davao vacation packages on Expedia. You'll have plenty more time to plan the exciting stuff — and more spending money! Explore our comprehensive database of more than 400 partner airlines and 321,000 properties worldwide. Too many to select from? Don't stress — we'll help you decide! We have all the hot sightseeing tips for your trip to Davao. Grab your travel diary and get ready to start filling your itinerary. If the youngsters have had enough of sightseeing and need some exercise, why not take them on an outing to People's Park? It's the ideal place to play a game of tag and throw a ball around. Adventurers in this destination have an abundance of choice. Are you just wild about animals? You can grunt, squeak and squawk along with some of the most delightful of them at Crocodile Farm. It's a fun day out for the whole family! Still got time on your hands? 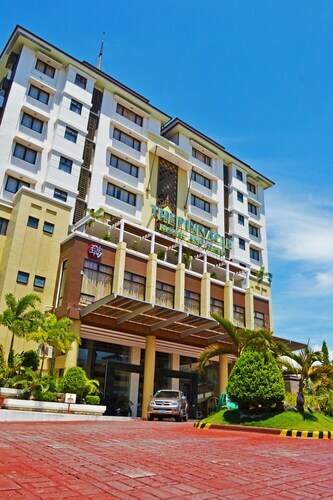 If you and your travel pals are looking for a place to regroup and hang out, Victoria Plaza is an ideal option. Chat over coffee and a snack and browse the stores for that perfect keepsake. 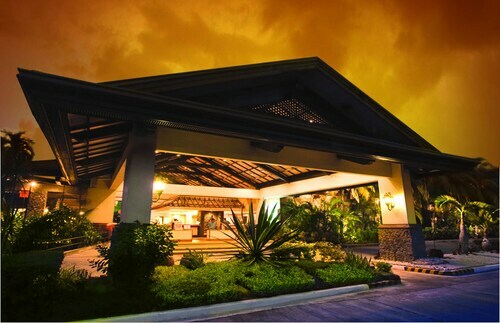 While Davao does have 63 properties to pick from, it's always a smart move to book a room beforehand. Not sure where to start? Expedia is here to help out with your luxury getaway or cheap vacation. 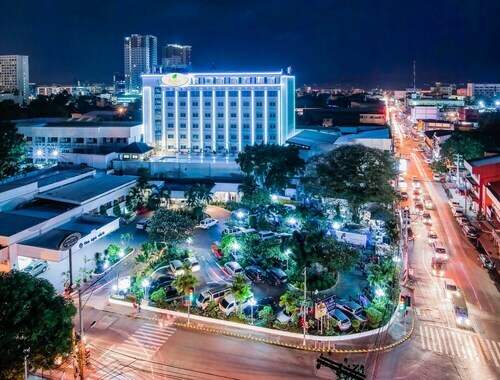 The Marco Polo Davao (Claro M Recto Street) and the Seda Abreeza (J.P. Laurel Ave, Bajada) are two of the higher-ranking options in Davao. Stay at either and you're bound to have some of the best rooms in town. Alternatively, if you're traveling on a shoestring, the Green Windows Dormitel (5th Floor, FTC Tower 1034, Mt. Apo St) and the GK Business Hotel (Km 6, J.P. Laurel Avenue, Lanang) may suit your requirements better. Francisco Bangoy International Airport (DVO) is the entry point for most visitors going on a trip to Davao. It's based 4 miles (6 km) from the town center. 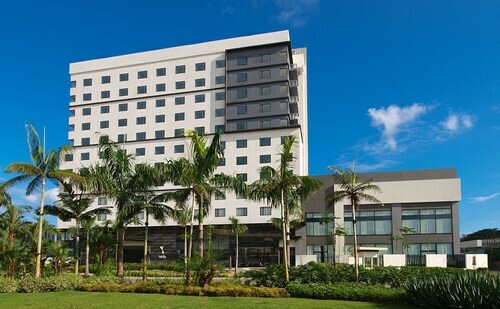 Nestled on the beach, this Davao hotel is 1.4 mi (2.3 km) from Damosa Gateway and 1.8 mi (2.9 km) from SMX Convention Center Davao. SM Lanang Premier and Robinsons Cybergate Davao are also within 3 mi (5 km). This family-friendly Davao hotel is located near the airport, within a 5-minute walk of SM Lanang Premier and SMX Convention Center Davao. Mindanao Taoist Temple and Victoria Plaza are also within 3 mi (5 km). Nestled on the beach, this Kaputian resort is 10.7 mi (17.2 km) from General Moncado White House and 11.4 mi (18.3 km) from Church of Christ. Monfort Bat Sanctuary and Damosa Gateway are also within 16 mi (25 km). 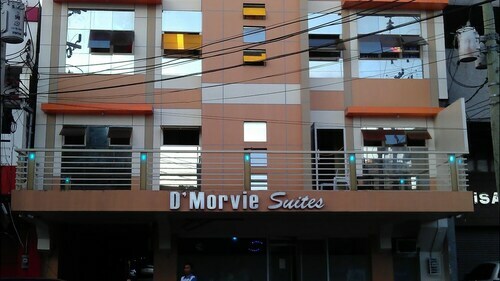 Located in Poblacion District, this hotel is within a 10-minute walk of Abreeza Mall and Victoria Plaza. Mindanao Taoist Temple and Gaisano Mall are also within 1 mi (2 km). Sat., 6 Jul. - Tue., 23 Jul.